The iPad – a device that was an instant hit in the corporate world. According to the Mac Observer, 94% of the Fortune 500 companies are either testing or using this tablet from Apple. The extensive use of iPads has resulted in extending the frontiers of the L&D realm. No longer are people confined to their desks or required to carry “cumbersome” laptops. This device has truly liberated learners from the shackles of immobility. The iPads are a boon to “mobile” workforce such as sales reps and service technicians. They go a long way in providing just-in-time (JIT) support to employees – the holy grail of corporate training. Today, we will see how 5 companies in various industries are harnessing the full potential of the iPad to enhance their sales efficiencies. KOSÉ Corporation is a reputed Tokyo-based global cosmetics manufacturer. The company uses the iPad to store buyer data and purchase history. It has developed a customized iOS app to improve inventory management capabilities, organize sales information, and generate reports. Also, the firm uses the tablet to arm its retail staff with the information needed to suggest the most appropriate products to its customers. The iPad also enables the sales staff of the cosmetics maker to access sales tools using a cloud-based application. Grupo BBVA, a Spanish financial services major uses the iPad to enhance productivity and deliver better customer satisfaction. The company has developed iPad apps to provide instant access to the details of staff members worldwide and streamline workflows. The organization also uses the iPad to deliver information real time, and this helps the bank’s executives interact with customers better. The financial institution makes the best use of the safety features of the iPad to ensure that its operations are conducted in a secure manner. Boston Scientific, a leader of the medical device industry has “iPad-enabled” its sales staff to help it sell better. The company has developed nearly 100 custom-built apps, which are used for a wide variety of purposes such as product demonstrations and providing comparison tools. The company has also made the best use of the various features of the iPad such as geo-locating to improve selling efficiencies. Eaton is a reputed power management company, headquartered in Dublin, Ireland. The organization has used iPads to reduce sales cycle times considerably. 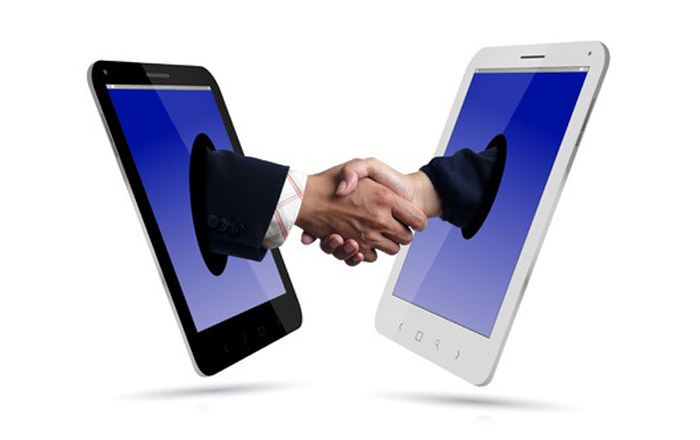 The tablets have enabled the firm to engage customers very efficiently. The organization has developed several custom-built apps to support its sales staff. The company’s investment on iPads paid handsome dividends by helping it drive its bottom-line revenues. Thus, these 5 organizations have used the iPad to enhance sales efficiencies and improve their profitability. Are you too planning to climb the iPad bandwagon? We’d love to know.